A unique case-study of a 14-year-old boy published recently by Department of Gastroenterology, Sir Ganga Ram Hospital in Journal of Infectious Diseases and Therapy has revealed that hookworm manifestation, if not diagnosed timely, can not only lead to their multiplication but also lead to immense blood loss and complications. Dr Arora further added, “In view of child’s obscure (unknown origin) gastrointestinal bleeding (OGIB), we conducted Capsule Endoscopy. 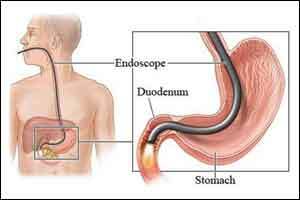 (Capsule endoscopy is a procedure that uses a tiny wireless camera to take pictures of your digestive tract. A capsule endoscopy camera sits inside a vitamin-size capsule you swallow. Image attached) . The results shocked us . We could see multiple hookworms buried in the small intestine and were seen actively sucking blood with dancing movements. “Conventionally hookworm infestation is found commonly in Asian population. Manifestation of hookworms can be prevented by avoiding barefoot walking and maintenance of food hygiene “ opined Dr Arora .